Hippocrates, otherwise known as the founder of medicine said, “Let food be thy medicine and let medicine be thy food.” Our food supply and eating habits have changed and this change may be the root cause of many illnesses that lead many to consider going to a nutritionist. These days there are so many choices regarding where to get advice about food and nutrition, and how to use food as medicine. Those of you who may be struggling with weight or chronic illness may be thinking about going to a nutritionist. It would be beneficial to get nutritional advice; however going to a nutritionist can mean different things to different people. There are different kinds of certifications and philosophies. Registered Dietician has to meet academic and professional requirements. They must get a bachelor’s degree and complete coursework approved by the Academy of Nutrition and Dietetics’ Accreditation Council for Education in Nutrition and Dietetics (ACEND). They must complete a supervised internship program, pass an exam, and get licensed by their state. They must have continuing medical education to maintain their license. Many work for schools, hospitals and institutions and create menu and meal plans to meet specific nutritional requirements of individuals or populations. They generally follow standards recognized by the government and their educational organization. If you are going to a nutritionist to correct a specific problem caused by your diet, it would be wise to consider the expertise of a registered dietician. Nutritionist is a term that almost anyone can use. Many have certifications from organizations but some have not. Training varies, and no standards or licensing is necessary. There are various reputable organizations that provide training, such as the Institute of Integrative Nutrition. The philosophy may vary depending on where an individual received their training. Some people don’t have any formal training at all so before going to a nutritionist check their credentials and training. If you are going to a nutritionist to look for ways to improve your eating habits and maybe lose a little weight, a good general nutritionist is who you want to see. Medical doctors or other doctors may or may not havetraining in nutrition. Most have the scientific background and training to evaluate and treat illness. Look for doctors who have training and certifications in functional or integrative medicine. The benefits of going to a functional or integrative medicine doctor (MD or DO) that passed certification exams is that they have training in allopathic and alternative medicine as well as nutrition. 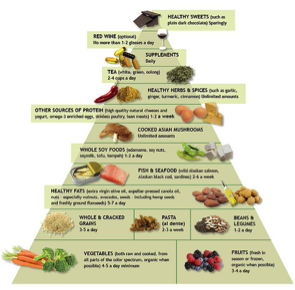 Nutrition is an integral component of functional and integrative medicine. They have experience in treating illness and understand drug, supplement and herb interactions. They know about and have treated complications and have more tools to work with. If you are considering going to a nutritionist and only want to work with the best, look into seeing a functional or integrative medicine doctor. Here are some other things you should know about going to a nutritionist. A functional medicine MD can recommend nutrition, supplements, herbs and medications to treat illness. They are able to order tests to get at the root cause of what is causing the illness. An evaluation may begin with blood tests to look at levels of inflammation, oxidation and blood sugar control followed by level of nutrients in blood and inside your cells. Adding genetic testing can shed light on how you process nutrients and detoxify from the contaminants in food and the environment. Most will also test food sensitivities that may be causing illness, weight gain, or inability to lose weight. Getting a thorough evaluation of your personal history, family history, risk factors, metabolism, genetics and nutritional status before going to a nutritionist will provide the framework to assess your individual needs. Recommendations for changes in diet, eliminating certain foods, adding supplements and detoxification can be tailored and personalized to your unique requirements. In order to plan the composition of each and every meal, a registered dietician or certified nutritionist can give you more specific meal plans and recipes to make implementing the recommendations easier. Find doctors and nutritionists that complement each other since philosophies may differ. Some only use the “standard of care,” which is one size fits all. Others customize and personalize using functional medicine principles that are grounded in science. Before going to a nutritionist, get a thorough evaluation by a functional medicine doctor to be certain that your plan is customized to your needs. You will get better results and may prevent or reverse illness.